The Vikings were a hardy group of people, known for conducting raids across Northern Europe. In fact, the word ‘viking’ is derived from Old Norse, and it means ‘pirate raid.’ The Vikings lived from the 8th to the 11th century, and they were mainly made up of Norsemen from Scandinavia. According to some 10th century travellers’ writings, “every [viking was] tattooed from fingernails to neck.” Below, we’ve created a Viking tattoo dictionary, spelling out the meaning behind each one of these tattoo designs. Read on, and learn all about Viking mythology! Helm of Awe: known as the ‘Aegishjalmur’ in Iceland, the Helm of Awe is an 8 armed figure, each one a trident that guards a central point. The Helm of Awe is a powerful symbol of protection and might. Horn Triskelion: these 3 overlapping horns were Viking drinking vessels. Depicted together in a tattoo design, they are a symbol of the Nordic god, Odin. 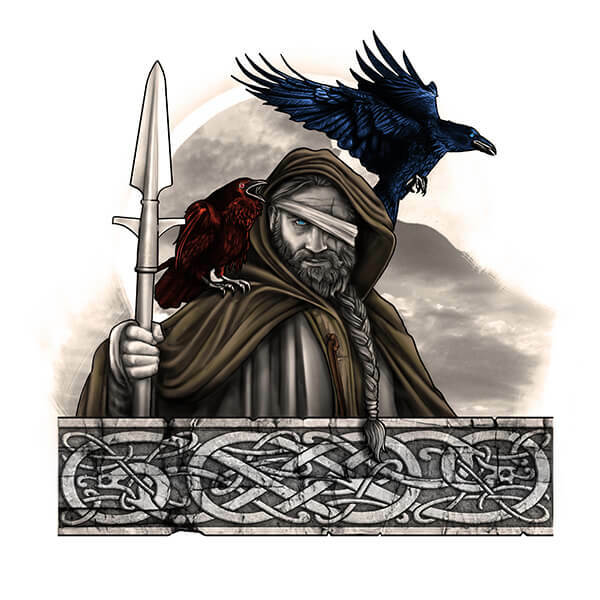 Odin: this cloaked Norse god represents healing, death, knowledge, and royalty as a tattoo design. Ouroboros: also known as Jormundgandr, Ouroboros is one of the 3 children of Loki and Angrboda, Norse gods. As a tattoo design, Ouroboros is depicted as a snake eating its own tail. Thor: known as a protector of mankind, Thor is the god of Lightning in Norse mythology. Valknut: used in death-related religious rituals, the Valknut is a symbol of 3 interlocking triangles. These 3 triangles stand for metal binds which were to be used to render men helpless or strong in battle. As a tattoo design, the Valknut is a symbol of the Norse god Odin. Valkyrie: this powerful Norse female figure was a ‘chooser of the slain,’ meaning that she was responsible for deciding who would survive or die in battle. Valkyrie is a tattoo design that represents power and control over fate. Vegvisir: translating to mean ‘sign post,’ Vegvisir is a tattoo design that is meant to guide people through poor weather conditions. The Vikings were notorious for their adventurous spirit as well as their outstanding ability to handle harsh conditions. Their mythology reflects all aspects of Viking life, and continues to appeal to people today. 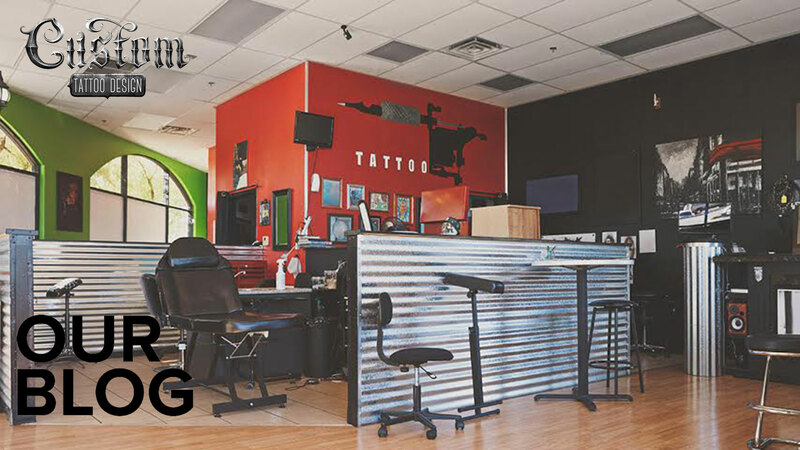 If you know of any other special Viking tattoo designs, let us know about them in the comment section below!